Toray Industries Inc and Toray Advanced Materials Korea Inc announced that the companies have decided to enter the high-performance polypropylene spunbond business in Indonesia. The companies plan to establish PT Toray Polytech Jakarta (TPJ) in the group’s site in Tangerang, Indonesia, in September last year and build a production facility with an annual capacity of approximately 20,000 tons. The new plant is expected to start full-scale operations in April 2013. 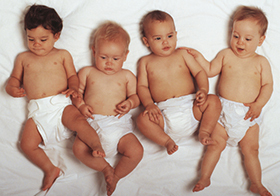 Demand for disposable baby diapers is expected to grow at a rapid pace in the ASEAN countries on the back of high economic growth and changes to lifestyle brought about by rising national incomes. 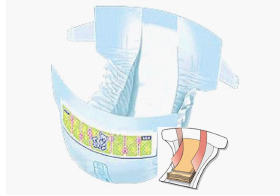 Particularly in Indonesia, the market for disposable baby diapers is estimated to grow at a pace of 14% a year, increasing approximately from 1.9 billion diapers in 2010 to 3.7 billion diapers in 2015, prompting major hygiene product manufacturers to build new production facilities and expand existing facilities. These manufacturers have been looking to procure raw materials locally, and the demand for polypropylene spunbond is expected to reach approximately 84,000 tons a year in 2015 in the ASEAN region. Toray Group’s polypropylene spunbond business boasts an annual production capacity of about 43,000 tons at TAK in Korea and 38,000 tons at Toray Polytech (Nantong) Co., Ltd. (TPN) in China, and the product is sold to a number of countries in the Asian market including Japan, Korea, China and ASEAN nations. The Group has decided to build an additional production facility with an annual capacity of 20,000 tons a year at TPN (to be operated from July 2012). The new facility in Indonesia will bring Toray Group’s total polypropylene spunbond production capacity to about 121,000 tons a year in 2013. This would further enable the Group to drive forward sales expansion in emerging markets such as the booming Chinese and ASEAN markets. Under the new medium-term management program “Project AP-G 2013” launched in April 2011, Toray aims to become a corporate group that continually expands revenues and profits and is currently driving forward the group-wide projects of Green Innovation Business Expansion (GR) Project, Asia and Emerging Country Business Expansion (AE) Project, and Total Cost Reduction (TC-II) Project. The decision to establish a polypropylene spunbond manufacturing base in Indonesia is one of basic strategies of the AE Project, which is aimed at tapping the burgeoning economies of Asian and other emerging countries. Going forward, Toray will continue to pursue business expansion in these countries. Tel : +62 (021) 2951 9000 . sales Ext 420.